R. C. Sproul demonstrates the contradiction in Roman Catholic Theology, when it claims it agrees with Augustine against Pelagius and the Semi-Pelagians (Provincial Synod of Orange in 529 AD), but later re-affirms Semi-Pelagianism by the decrees of Trent (1545-1563) and then, later, arguably, it approves of even Pelagianism by the condemnation of the Jansenists (roughly, 1638-1713) and the modern Roman Catholic Catechism of 1994. Sproul calls it an "ambiguity". Indeed, it is more than that; it is a real contradiction. It also shows the Roman Catholic Church to be fallible; thus bringing down the whole system of its claim to be infallible. I recommend Sproul's book, Willing to Believe, and DVD teaching series. See also an earlier post about the tendency of Roman Catholicism to drift back to Semi-Pelagianism between the Council of Orange in 529 AD until Luther questioned the issue, and the Council of Trent in 1545-1563. I'm actually teaching Sunday School from that Book and Lecture series. I am also going to be using this. I am reading the book again; (had it for years) and ordered the DVD series. If this is indicative in general of how Sproul examines RCism and history, you might want to find other resources. There are many issues. 1. He accepts Orange condemned semi-Pelagianism. So it would've then been helpful to show how Trent/Rome contradicts Orange if it's semi-Pelagian. The way he characterizes semi-Pelagianism in his critique of Trent/Rome would undermine Orange as well - Orange would have affirmed what it condemned according to Sproul. 2. This then maps to Augustine as well. Notice he does not cite Augustine once to show the contradiction between Trent and Augustine. 3. Related to above, he fails to make basic distinctions that are essential to RC theology and its documents - these include operative/cooperative grace and primary/secondary causes and actual/sanctifying grace and natural/supernatural (the latter is why he messes up with his ridiculous assertions that the catechism and condemnations of Jansenism endorses Pelagianism). Augustine was the one who helped formulate the RC distinctions between operative and cooperative grace. 4. Related to 3, he endorses a false dichotomy that if something is non-monergistic, it must be semi-Pelagian. This then clouds his perspective on Augustine and Trent and Jansenism. "If anyone says that man's free will moved and aroused by God, by assenting to God's call and action, in no way cooperates toward disposing and preparing itself to obtain the grace of justification, that it cannot refuse its assent if it wishes, but that, as something inanimate, it does nothing whatever and is merely passive, let him be anathema." "man's free will moved and aroused by God" - that's not semi-Pelagian - done. His whole argument basically ignores that qualifier explicitly called out in the canon. Secondly, just as he cites the catechism to give it a pelagian flavor instead of citing from oh I don't know - the section actually focused on grace/justification which would put his Pelagian fears to rest, he similarly flounders here by ignoring the chapters before the canons that actually lay things out in more detail. That would have helped him with his "ambiguity" problem. Are you aware that this video is presented in the context of 11 additional videos? Or that it is a "Condensed" presentation of what is in his Book. I noticed that Bryan Cross did not make any mention of Sproul's actual book and seemingly did not investigate whether Sproul had any more information in his book than what is in the 28 minute video. Both Bryan (and you) could have easily purchased the Kindle version of the Book if you were that concerned about Sproul's alleged misrepresentations. As many have said before, in various ways, about many things in Roman Catholicism, that it basically has a very complicated system that dies and implodes on itself and contradicts itself with a thousand qualifications and distinctions. It has to play words games between "actual grace" and "sanctifying grace" and Latira, dulia, and hyperdulia, and "condign merit and congruous merit, general infallibility vs. specific statement from Chair of Peter infallibility, "no salvation outside of the church" before Vatican 2; then "separated brethren" and "atheists and Muslims are saved" after Vatican 2, etc. Your whole system is messed up. I think Sproul nailed it, as Roman Catholicism seems to bring semi-Pelagianism and even Pelagian back into popular Roman Catholic practice (arguably from 600 onward to Trent, with Purgatory, exalting of Mary, Transubstantiation, infant baptism as initial justification and sanctification, penances, relics, statues and worshiping Mary and praying to her, indulgences, purgatory, etc. ), while at the same time denying them in official statements. Given the word games and qualifications ad infinitum, it seems like that reality to me. "man's free will moved and aroused by God" - that's not semi-Pelagian - done. Is the unregenerate will freed first, or was it free (able to choose good over evil) before "being moved and aroused by God" ? 1.) "He accepts Orange condemned semi-Pelagianism. So it would've then been helpful to show how Trent/Rome contradicts Orange if it's semi-Pelagian. The way he characterizes semi-Pelagianism in his critique of Trent/Rome would undermine Orange as well - Orange would have affirmed what it condemned according to Sproul." Sproul, R. C. (2002-04-01). Willing to Believe: The Controversy over Free Will (pp. 77-79). Baker Book Group - A. Kindle Edition. That was nice, but did nothing to show how Orange contradicted Trent which was the point you were replying to. Nor did it really show anything new or add context that Sproul didn't already say in the video which CtC replied to in further detail. Again, if Sproul actually interacted with the Tridentine chapters preceding the canons to get additional context (or looked in the catechism on the section on grace/justification and not just the section on will), he wouldn't flounder. As an aside, I will add a 6th point that Sproul would need to address if he's trying to interact with RCism and its view of grace/the will responsibly - the Thomist and Molinist views - both are permitted and compatible with Trent and so would further help his understanding of the canons and Jansenist condemnations. And a 7th point. If Sproul wants to keep up his silly Pelagian charge, he's going to have to interact with Adam. You can't criticize Rome for having a defective anthropology or view of pre-Fall man (by positing he needed sanctifying grace) but then also criticize it for being crypto-Pelagian in post-Fall man. It's one or the other. "Is the unregenerate will freed first, or was it free (able to choose good over evil) before "being moved and aroused by God" ?" And you fell into the same issues as Sproul. You're not distinguishing between natural and supernatural good. That is essential when discussing Pelagianism responsibly. Unregenerate man cannot respond to God without grace - that's RC teaching and that's neither Pelagian nor semi-Pelagian. Non-monergism does not necessitate semi-Pelagianism - that's a false dichotomy. This is about as clear a contrast between Orange and Trent as I can find. The primary difference is between Grace being "Operative" vs. "Co-Operative". And you fell into the same issues as Sproul. You're not distinguishing between natural and supernatural good. Where in the Scriptures is there a distinction between what the CtC folks call "actual grace" (prevenient ? co-operative before regeneration ?) (your "natural good") vs. sanctifying grace (regeneration) (your "supernatural good"). Same thing with Romans 8:28-30 - all who are called (effectively drawn) are also justified and all who are justified are also glorified - brought all the way. I don't see any of that making distinctions and qualifications that the RCC typically does, as I wrote in an earlier comment. First an excellent post by TurretinFan on Schaff's work. John Hendrix contrast of Trent and Orange. Natural good is natural - anyone can do it (we all have the same human nature) - an atheist or non-believer can be courageous, can love his family, can sacrifice himself, can have temperance/fortitude/prudence/justice/etc. We see that all over the place in life and throughout history. What they cannot have are the supernatural virtues - faith, hope, charity which are required for salvation. One cannot attain supernatural good naturally by definition - that's Pelagianism, equating grace with nature. "It seems to me that Jesus says the elect will come to Him ALL the Way to regeneration, perseverance, and being raised up (glorification) on the last day." Of course. The elect are those predestined to heaven before the foundation of the world. There are no elect who don't reach heaven. And if your beef is with the position that the justified/regenerate can lose their salvation - if that equates to semi-Pelagianism, well Orange and Augustine/Prosper and Aquinas (who Sproul bizarrely brings up occasionally in support of his cause) were semi-Pelagian then, as was basically the entire east-west church for over 1000 years. Which was part of my earlier points. "[Semi-Pelagianism's] leading idea is, that divine grace and the human will jointly accomplish the work of conversion and sanctification, and that ordinarily man must take the first step." Man does not take the first step in RCism - either "ordinarily" or extraordinarily. Done. Secondly, again if synergism or cooperation/resistance is semi-Pelagian, Orange is semi-Pelagian by that standard, so again Sproul/Hendryx/TF are throwing Orange under the bus or are making it nonsensical (implying it condemns what it affirms). They could say that Orange itself was Semi-Pelagian, but that would be a rather unique view, and Schaff himself disagrees with it, claiming that Orange did condemn semi-Pelagianism (it's in the section right after the one TF cited). So, if Orange is not semi-Pelagian and condemned it, and Rome/Trent does not contradict Orange, Rome is not semi-Pelagian. "The modern Catholic view is semi-Pelagian, not because it denies the necessity of grace (see my admissions section) but because it denies the sufficiency of grace." Of course RCism does not deny the sufficiency of grace - whether one is a molinist or thomist that doctrine is affirmed. He is conflating sufficiency with efficacy. The denial that all grace is efficacious has never been defined as a heresy east or west and Orange didn't condemn it. Cletus seems unaware of the semantic range of "sufficient." The difference between sufficient and efficient is one use - the difference between necessary and sufficient is a different use. That, in itself, should be a sufficient rebuttal to his accusations of floundering and the like. If he had any serious responses, I would definitely consider them. Nevertheless, it remains the case that RCism does insist on cooperation - grace is necessary, but not sufficient. In fact, Trent anathematizes those who affirm what Romans 4:5 teaches. "Nevertheless, it remains the case that RCism does insist on cooperation - grace is necessary, but not sufficient." Grace is necessary and it is sufficient in RCism. If one resists grace, that did not make it insufficient - sufficient grace can be either efficacious or non-efficacious (and hence merely sufficient). You're free to persist in conflating sufficiency with efficacy if you like. This diverts from the point anyways. RCism is not semi-Pelagian, nor was Orange or Trent. Semi-Pelagianism was never tied to the question of the efficacy/resistability of grace (whether you choose to relabel that as sufficient or not). Non-monergism is not semi-Pelagianism (and Pelagianism is just monergism on the other side) - it's just non-monergism. RCs of course affirm Rom 4:5. "Grace is necessary and it is sufficient in RCism. If one resists grace, that did not make it insufficient - sufficient grace can be either efficacious or non-efficacious (and hence merely sufficient). You're free to persist in conflating sufficiency with efficacy if you like." "Augustine seeks to answer the question, What is necessary for fallen man to “recover to good and to God”? How does a creature who is evil recover from this condition and become good? How does a creature who is alienated from God and indisposed toward God find his way back to God? These questions are paramount to an understanding of salvation. For Augustine the answer to them is the grace of God. This grace is free because it is neither merited nor earned. It is indispensable because it is the necessary condition for recovery, the sine qua non of salvation. It is prevenient because it must come before the sinner can recover. It is irresistible because it is effectual, accomplishing God’s purpose in giving it. It is indefectible because this liberating grace is perfect, infallible, and unflawed. The gift of grace is linked to God’s eternal purpose and is intimately tied to his predestinating purpose." Sproul, R. C. (2002-04-01). Willing to Believe: The Controversy over Free Will (p. 51). Baker Book Group - A. Kindle Edition. "RCs of course affirm Rom 4:5." Of course they say they affirm it. But they distort its meaning, and consequently don't affirm it. Affirming the meaning is distinct from saying you affirm the text. "It is prevenient because it must come before the sinner can recover." Yes and where does RCism disagree with this? If it doesn't, RCism is not S-P, let alone Pelagian like Sproul implies in his presentation with weasel phrases like "some theologians say". Done. "It is irresistible because it is effectual, accomplishing God’s purpose in giving it"
Now we shift to another aspect - one that does *not* tie to the S-P issue as has been pointed out. We can talk about that as well, but the original point of the post was equating the RC position with S-Pism. Secondly, Thomism holds that the converted receive intrinsically efficacious grace - the distinction is that although man retains the power/ability to resist, he nevertheless will not resist, and that the reprobate are still offered (merely) sufficient grace (this distinguishes it from Jansenism and Calvinism) - efficacious grace is the fruit of sufficient grace, and the dispute between Thomism and Molinism lies in what makes sufficient grace truly efficacious in the justified (instead of just merely sufficient in the reprobate). Intrinsically efficacious grace is compatible with Trent and cooperation/resistance. Now we shift to another aspect - one that does *not* tie to the S-P issue as has been pointed out. We can talk about that as well, but the original point of the post was equating the RC position with S-Pism." It certainly *does* tie to the S-P issue. "In Cassian’s view his key difference with Augustine was over irresistible grace. For Augustine, man’s will, though still capable of making choices, is morally unable to incline itself toward good. The will is not spiritually infirm, but spiritually dead. Only the effectual grace of God can liberate the sinner to believe. The difference between Augustine and Cassian is the difference between monergism and synergism at the beginning of salvation. Cassian and semi-Pelagianism is, with respect to the sinner’s initial step toward salvation, decidedly synergistic. God makes his grace available to the sinner, but the sinner must, with his infirm will, cooperate with this grace in order to have faith or to be regenerated. Faith precedes regeneration. For Augustine the grace of regeneration is monergistic. That is, the divine initiative is a necessary precondition for faith. When Augustine says grace is irresistible, he means it is effectual. It is a monergistic work of God that accomplishes what he intends it to accomplish. Divine grace changes the human heart, resurrecting the sinner from spiritual death to spiritual life. Regenerating grace makes the sinner willing to believe and come to Christ. Formerly the sinner was unwilling and not inclined to choose Christ, but now he is not only willing but eager to choose Christ. The sinner is not dragged to Christ against his will or forced to choose something he does not want to choose. The grace of divine regeneration changes the heart’s disposition in such a way as to raise the sinner from death to life, from unbelief to faith. This view is clearly monergistic at the initial point of the sinner’s movement from unbelief to faith. The whole process, however, is not monergistic. Once the operative grace of regeneration is given, the rest of the process is synergistic. That is, after the soul has been changed by effectual or irresistible grace, the person himself chooses Christ. God does not make the choice for him. It is the person who believes, not God who believes for him. Indeed the rest of the Christian life of sanctification unfolds in a synergistic pattern." Sproul, R. C. (2002-04-01). Willing to Believe: The Controversy over Free Will (p. 73). Baker Book Group - A. Kindle Edition. "Similarly, Sproul implies that the Church’s condemnation of Baius’s claim that “the sinner is moved and animated by God alone” is a concession to Pelagianism. But actually the Church is defending the Augustinian teaching that justification is not monergistic, but depends on our cooperation with actual grace. Again, Sproul’s mistake here is based on his conflation of actual grace and sanctifying grace. "the Augustinian teaching that justification is not monergistic, but depends on our cooperation with actual grace"
"The Augustinianism of Jansen Further developments within the Roman Catholic church toward the end of the sixteenth century prepared the way for the Jansenist controversy of the seventeenth. Michael Baius, a professor in Louvain, strongly asserted the Augustinian doctrines of grace. He argued that man is utterly depraved by sin: “Free-will without the assistance of God avails for nothing except for sin.”17 Justification is gained only after the sinner’s will has been transformed by God. Seventy-nine theses of Baius were condemned in a bull issued by Pope Pius V. Among the theses condemned were such Augustinian ideas as: (1) the will without grace can only sin; (2) even the concupiscence that is contrary to the will is sin; and (3) the sinner is moved and animated by God alone. Sproul, R. C. (2002-04-01). Willing to Believe: The Controversy over Free Will (p. 80). Baker Book Group - A. Kindle Edition. When Augustine says grace is irresistible, he means it is effectual. It is a monergistic work of God that accomplishes what he intends it to accomplish. Divine grace changes the human heart, resurrecting the sinner from spiritual death to spiritual life. Regenerating grace makes the sinner willing to believe and come to Christ. Formerly the sinner was unwilling and not inclined to choose Christ, but now he is not only willing but eager to choose Christ. The sinner is not dragged to Christ against his will or forced to choose something he does not want to choose. The grace of divine regeneration changes the heart’s disposition in such a way as to raise the sinner from death to life, from unbelief to faith. This view is clearly monergistic at the initial point of the sinner’s movement from unbelief to faith. The whole process, however, is not monergistic. Once the operative grace of regeneration is given, the rest of the process is synergistic. That is, after the soul has been changed by effectual or irresistible grace, the person himself chooses Christ. God does not make the choice for him. It is the person who believes, not God who believes for him. Indeed the rest of the Christian life of sanctification unfolds in a synergistic pattern. It is a misrepresentation to say that Catholic theology teaches Semi-Pelagianism. Also, St. Augustine was a Catholic through and through. To take about 10 percent of what he said (which is about all the Reformed have to cling to) and attempt to make him sound Reformed is a misrepresentation of his overall teachings. St. Augustin was one of the greatest of the Early Church Fathers. The Reformation and the other some 40,000 Protestant ecclesial Christian communities are way off from the teachings of the Early Church Fathers, which learned from the Apostles (2 Thes. 2:15). It took a search of this blog to remind me about Mr. Cadle. See this blog post from some time back, as well as the link to the website in which I engaged him. I recall that adventure you had but did not remember Lloyd Cadle's participation in it. "Read this book, then get back to this discussion. I’ll gladly interact with you on the contents. St. Augustine was a Catholic through and through. To take about 10 percent of what he said (which is about all the Reformed have to cling to) and attempt to make him sound Reformed is a misrepresentation of his overall teachings. Augustine was... Augustine. This is a superior aspect of Reformed theology- that we allow him to say what he said without having to make him something other than he was. Yes, of course, Augustine said things I don't agree with, and held particular theological beliefs that I, as a Reformed person, do not hold. On the other hand, Romanist converts like yourself think that that in essence, the majority of crucial pre-Reformation personages were "Romanists." If any differences between modern-day Romanism and a voice from the past is pointed out, this is typically covered over by the magical "development of doctrine" wand. This is the sort of logical inconsistency and special pleading that's rampant in Romanist apologetics. Feel free to comment more. Last time we interacted, you appeared to be a fairly recent convert and somewhat shy about admitting to your Romanism. It would be interesting to see how you've developed, or if possibly you've gone off into Eastern Orthodoxy, or... whatever. "It certainly *does* tie to the S-P issue." "The necessity of grace had been acknowledged as the result of the Pelagian controversy: its preveniency, as the result of the Semi-pelagian controversy: but its certain efficacy, its “irresistibility” men call it, was by the fatal compromise of Orange denied"
Sproul agrees Orange condemned S-P. He then claims Trent/Rome are S-P because it denies the irresistibility of all grace. It's an invalid move. So you can't just respond as above by just citing more Sproul. We know Sproul's opinion. The issue is whether he's accurate. Just offering more of his opinion isn't going to do any work - that's just assuming what's precisely in dispute. Similarly when you cite Sproul again responding to Cross, you just keep citing his opinion and conclusions (which have no supporting argument in all your citations as of yet) as if it's to be taken on face value (e.g. his evaluation of Augustine's teachings). That's again precisely what's in dispute. After about a three year study of the Orthodox, Catholocism and the Early Church Fathers I became Catholic just over a year ago. My studies included going to the Mass of both the Orthodox and Catholic Churches in the Phoenix area. In the old days, my past included teaching the Reformed Confessions and Lutheran theology to Jr. High kids for many years. I have read all of Calvin's Institutes, Berkhof, all of the BOC and many of Luther's books. I have served on boards as an elder on several occasions. I graduated from a dispensational Bible College. So, I have done my leg work in those ecclesial Christian communities. I came to the conclusion that most of these folks were not really sola scriptura, but that they were following the hermanuetics of some guy like a Calvin, Luther, Chuck Smith etc. Without the teachings of Sacred Tradition, this is what you come up with. My ipad needed charging, so I had to cut it short! Thanks for that quote by Warfield. Could you please provide where your quote is from within "the Plan of Salvation" by B. B. Warfield, so that we can read and analyse it in the surrounding context? Is Warfield saying that the idea of "prevenient grace" (a wooing power/ principle that made man able to choose Christ without regeneration) came about after the Council of Orange of 529 AD ? Is that the same idea as Wesley's previenient grace at the time of preaching and hearing the gospel? Is Warfield saying that the "certain efficacy"/irresistible grace" (powerfully drawing all the way to regeneration) was denied by Orange? Another problem with the Council of Orange was that it said that grace comes to the soul in water baptism and begins regeneration and heals the will so that one can choose. (ex opere operato) And most everyone by that time in the western culture was baptized as a baby, so, the need to understand sin, repentance and faith for the first time in one's life was hidden and non-discernable; and people began to trust in their water baptism as a baby - that it saved them. Sad. After about a three year study of the Orthodox, Catholocism and the Early Church Fathers I became Catholic just over a year ago. He studied the Early Church Fathers and related issues in only 3 months, before his decision to convert to Rome. Here's the problem. Sproul asserts that Rome is S-P (or even just P). I'm disputing that based on the 7 points I outlined above, as well as the standard way the term has been understood. Orange, post-Pelagian Augustine when the S-P controversy arose, and Prosper who succeeded him were not dealing with irresistibility of grace in the controversy. Even Warfield, no friend of Rome, understood this:"
Sproul does not claim that Orange defended “Irresistibility”. What he claims is that Augustine defended “Irresistibility” against Cassian. Sproul, R. C. (2002-04-01). Willing to Believe: The Controversy over Free Will (pp. 72-73). Baker Book Group - A. Kindle Edition. ”Clearly the Roman Catholic church was rejecting the view that the beginning point of faith is the fallen will. The ability to do good proceeds from grace, the grace imparted by regeneration. It must be noted that here, as well as in Augustine, the grace of regeneration is effected by the sacrament of baptism. Baptismal regeneration was later rejected categorically by Calvinists as well as most other Protestants. Predestination and irresistible grace were more or less passed over in the synod’s pronouncements. The church embraced a way that was more Augustinian than Pelagian. Sproul, R. C. (2002-04-01). Willing to Believe: The Controversy over Free Will (p. 76). Baker Book Group - A. Kindle Edition. Ok, I found more of a context around the B. B. Warfield quote that Cletus provided. "But, as we have been told that the price of liberty is eternal vigilance, so the Church soon found that religion itself can be retained only at the cost of perpetual struggle. Pelagianism died hard; or rather it did not die at all, but only retired more or less out of sight and bided its time; meanwhile vexing the Church with modified forms of itself, modified just enough to escape the letter of the Church's condemnation. Into the place of Pelagianism there stepped at once Semi-pelagianism; and when the controversy with Semi-pelagianism had been fought and won, into the place of Semi-pelagianism there stepped that semi-semi-pelagianism which the Council of Orange betrayed the Church into, the genius of an Aquinas systematized for her, and the Council of Trent finally fastened with rivets of iron upon that portion of the church which obeyed it. The necessity of grace had been acknowledged as the result of the Pelagian controversy: its preveniency, as the result of the Semi-pelagian controversy: but its certain efficacy, its "irresistibility" men call it, was by the fatal compromise of Orange denied, and thus the conquering march of Augustinianism was checked and the pure confession of salvation by grace alone made forever impossible within that section of the Church whose proud boast is that it is semper eadem. It was no longer legally possible, indeed, within the limits of the Church to ascribe to man, with the Pelagian, the whole of salvation; nor even, with the Semi- pelagian, the initiation of salvation. But neither was it any longer legally possible to ascribe salvation so entirely to the grace of God that it could complete itself without the aid of the discredited human will-its aid only as empowered and moved by prevenient grace indeed, but not effectually moved, so that it could not hold back and defeat the operations of saving grace." Yep, so Warfield ends up calling Rome semi-SP which to my mind is starting to get silly - maybe we can call Thomism that and then Molinism will be semi-demi-semi-Pelagianism. It starts to lose the plot. And what he labels SSP others like Schaff label semi/moderate Augustinianism. Regarding the latter, while I *may* agree that could hold for Molinism (in that it blunts some Augustine), I do not think it holds for Thomism - I believe that school reflects Augustine's position in the core areas. "an apparent belief that man is neutral and has natural good within him that he can choose with no special grace, previenient or regeneratinal grace? (only needs to hear the content and persuasion and pleading)"
So now we need to distinguish. Prevenient/antecedent grace is operative - it is irresistible - man cannot resist it or choose for it to occur or prepare themselves to receive it. On the contrary, the will is prepared by it to then cooperate/respond (cooperative/subsequent grace). Man cooperates with prevenient actual grace and in doing so is then given sanctifying/habitual grace, or resists that actual grace to his detriment. But irresistible prevenient grace was what enabled man in the first place to be able to respond and resist/accept. The will cooperates, but never outside of grace preceding it. So RCism distinguishes between grace whereby god works in us, without us, and when he works in us, with us. So there is a sense in which RCism allows for monergistic/irresistible grace, but obviously it is not in the same sense the Reformed hold. That (again) does not make RCism S-P.
"Operative grace cannot be blocked; it is efficacious by its very nature. The comments following it are also helpful between mateo and kim. ...[these three] propositions contain the whole essence of Semipelagianism. The aged Augustine gathered all his remaining strength to prevent the revival of Pelagianism which had then been hardly overcome." a) The primary desire for salvation proceeds from the natural powers of man"
Efficacy/Irresistibility/cooperation was never the issue, contra Sproul's and others' gloss. "Sproul does not claim that Orange defended “Irresistibility”. What he claims is that Augustine defended “Irresistibility” against Cassian." Does Sproul talk about the distinction between operative and cooperative grace and how that can map to Augustine? A notion of irresistibility does not entail Reformed monergism, as mentioned above to Ken. Secondly, Sproul and you concede the point then. If Sproul does not claim that Orange defended “Irresistibility” as you say, and Orange condemned SP as Sproul says, then Rome/Trent is not SP. Done. There is not a Church Father to be found that didn't teach this as Baptism. So the Calvinists and most Protestants totally throw out this key doctrine taught by the Early Church Fathers, which learned from the Apostles. Then Sproul says that the church (which church?) embraced a way that was more Augustinian than Pelagian. He must be talking about a different Augustine. You have the doctrine of the necessity of baptism. You also have the salvific will of God, where God desires all to be saved. This is where St. Augustine taught that God offers sufficient grace to be saved, but it only becomes efficacious for those who freely accept and cooperate with that grace. Baptism is the normal way of salvation (we are bound by the Sacrament, but God is not). There are those that would have desired baptism, but died before they had a chance or they may not have known about it. 1. Are you pre or post-Vatican II catholic and do you hold Vatican II to be infallible? 2. Are you a baptism of blood/desire supporter? 3. Do you hold the Newman development of doctrine thesis? 1. I am both a pre and post-Vatican II Catholic. Although, since I don't speak 14 languages like Father Mitch Pacwa, I appreciate the 3rd Roman Missal, which I have memorized. Vatican II is infallible. 2. Yes. You forgot water. It should be water, blood and desire. I was teaching this to my kids the other day. My four year old Grace wants to become a nun. 3. I haven't read his stuff. I do believe in developing doctrine for the purpose of explaining and teaching. It saves a lot of time if folks can grasp key terms and concepts. The Catholic Church has always been blessed with great theologians to do this. It’s really the Roman two-step to get you on that treadmill, and for the rest of your life, “you gotta do stuff the Roman way”. And the “stuff” you gotta do, isn’t “good works” in the Biblical sense. It’s the hamster wheel that Rome has set up, all of which is almost purely unbiblical (except for the equivocal use of some biblical words and concepts. They call this equivocation “development”). John 6:37-39 and 44 and Romans 8:29-30 don't make those distinctions between preparatory grace/co-operation/ prevenient/actual grace vs. regenerating/supernatural grace. Christ brings the elect all the way to regeneration and sanctification, perseverance, and glorification. Trent created and inserted another non-Scriptural step in between the unregenerate and the regenerate in the texts above. Indeed, I agree with what you have written about after baptism and the hamster wheel of the sacramental works, etc. Thanks Ken -- I hadn't read the whole thread. One key problem with Roman Catholicism is not that it has wrong doctrines of this or that. But as the post-baptismal issue shows, its other doctrines render moot some of its doctrines that are actually useful. I think this is a largely forgotten calculus in these Protestant-vs-Roman-Catholic discussions. Rome indeed may have some "orthdodox" doctrines (measured historically). But then it buries them or abrogates them or supercedes them with "development". What Rome gives with one fork of its tongue, it takes away with the other. That is important since we did not have the complete writings of Scripture until 393 AD, Council of Hippo and 397 AD, Council of Carthage, so we had to depend on oral tradition. Those teachings teach nothing but grace in Baptism. They teach being born again, John 3:5, salvation, Mark 16:16 and 1 Peter 3:18, washing away sins, Acts 22:16 and giving of HS and sins forgiven, Acts 2:38. Regeneration, Titus 3:5. There are other passages, but I don't have the time. The three things in Catholicism are: Believe in Jesus, baptism and confession of sins. One Father at a recent Mass said in his Homily, that if you believe in Jesus, and you are confessing your sins, you have nothing to worry about. That is not a work, an option, but a commandment. I was listening to EWTN radio yesterday, and they quoted St. Augustine, and he said that Confession was the greatest thing that God ever did, even greater than when He created the universe. On the conservative Lutheran website, Steadfast Lutherans, Nathan Redman did an essay entitled, "My First Time - An experience of Private Confession and Absolution," dated 1-13-14. Lutherans are now requesting weekly Confessions with their pastors. They are commenting that they love it, and some are even calling it a Sacrament. Google it. I, my wife and kids go to Confession once a month. We walk out of the Confessional like new born babies, clean as snow, and peace with God beyond description, as you hear the words of Jesus, via the Priest, "I absolve you of your sins." As said before, I agree the elect are predestined and must be drawn by grace first (and agree with Thomism that such grace is intrinsically efficacious) so I affirm those verses. Augustine and others recognized the distinction between operative and cooperative grace in Scripture. "The text of St. Augustine (De gratia et libero arbitrio, chap. 17) reads thus: “God Himself works so that we may will at the beginning what, once we are willing, He cooperates in perfecting; therefore does the Apostle say: ‘Being confident of this very thing, that He who hath begun a good work in you, will perfect it unto the day of Christ Jesus’ (Phil. 1:6). That we should will therefore, He accomplishes without us; but when we do will, and so will as to do, He cooperates with us."" "With regard to His bringing it about that we will, it is said in Philippians (2:13): ‘For it is God who worketh in you,...to will.’ But of His cooperation, when we already are willing and willingly act, it is said: ‘We know that to them that love God, all things work together unto good’ (Rom. 8:28).” St. Augustine reiterates this opinion in chapters 5 and 14 of the same book. " "...for example, in Ezech. 36:27: “And I will put My spirit in the midst of you [operative grace]: and I will cause you to walk in My commandments, and to keep My judgments, and do them [cooperative grace].” Again in I Cor. 15:10: “But by the grace of God, I am what I am [operative grace]; and His grace in me hath not been void, but I have labored more abundantly than all they: yet not I, but the grace of God with me.” This latter is cooperative grace." "Similarly on the authority of St. Augustine, here cited in the body of the article, from De natura et gratia, chap. 31: “(God) precedes us that we may be healed; He follows us that, even healed, we may yet be invigorated. He precedes us that we may be called; He follows us that we may be glorified." "I’ve found that all this talk about whether Rome is “Pelagian” or “semi-Pelagian” or “semi-semi-Pelagian” is all very much hypothetical"
Then maybe polemical Calvinists (like Sproul who should know better) should stop trying to tar RCism with it. "and in real-life, it ends at the point of baptism – at which Roman Catholicism becomes, for all practical purposes, purely a religion of works"
"It’s really the Roman two-step to get you on that treadmill, and for the rest of your life, “you gotta do stuff the Roman way”. "humble themselves, confess their sins, beg pardon, and renew their faith and repentance." "Man ought not to content themselves with a general repentance, but it is every man's duty to endeavour to repent of his particular sins, particularly." "yet are they not hereupon to grow negligent...but they ought to be diligent in stirring up the grace of God that is in them." "it is the duty of every one to give all diligence to make his calling and election sure." "And the “stuff” you gotta do, isn’t “good works” in the Biblical sense." So if the "stuff" you gotta do is "good works", why isn't that pure works righteousness and a works treadmill? "That is important since we did not have the complete writings of Scripture until 393 AD, Council of Hippo and 397 AD, Council of Carthage, so we had to depend on oral tradition." This implies that any scripture did not function as scripture until 393. But certainly, you have to agree that many of the individual books (if not most) were recognized as scripture very early...soon after penned. We even have quotes within NT quoting other letters of the NT recognizing them as scripture. One could argue that formal declarations were held in 393, etc...but as the Church said in these formal declarations, she "received" these books. They received what was already recognized and held as scripture in the Church for several hundred years. So to imply that they only had tradition to guide them until 397, is just historically incorrect. Also, actually, Ken had a post not long ago where James White/Michael Kruger discuss aspects of this...if your interested. Dr Kruger's book "Canon Revisited" is very good, that goes into this and other aspects of the Canon. He does have another book "Question of Canon", but I did not read that one yet (though I am sure it is very good too). When Jesus preached His Sermon on the Mount, Matthew wasn't writing it down. Matthew wrote these things long after Jesus ascended into heaven. In fact, none of the Gospels were written during Jesus's life on earth. Much if the information was handed down (which means tradition). In the NT all that Jesus did, (sermons, miracles and His resurrection etc.) happened before anyone wrote it down. Sacred Tradition predates and records Sacred Scripuure. By the way, Scripture doesn't always mean written, it can also be oral; 2John 12, 3 John 13, 2 Thes. 2:15, and 2 Tim. 1:13 & 14 etc. Without Sacred Tradition, you would not even know which books make up the NT. Pope Damascus in AD 382 via the Council of Rome, wrote a decree listing the 73 books. But, even before that debates raged among the Fathers about which books belonged. Some thought that books like Hebrews, Jude, Revelation and 2 Peter were not inspired. While others wanted to include books like Shepherd of Hermas, Gospels of Peter and Thomas, the letters of Barnabas and Clement claiming that they were inspired. Hence, you finally had the Council of Hippo, AD 393, and The Council of Carthage, AD 397 which finally gave us the complete, inspired books that we use today. None other than Martin Luther stated that we would not even have Bibles if it were not for the Catholic Church, even though he removed some books, and wanted others removed because it didn't fit his new theology. St. Augustine said, "I would put no faith in the Gospels unless the authority of the Catholic Church directed me to do so." I would advise folks like Mr. Sproul to be more careful and not twist and misrepresent the Catholic viewpoints. When he does so, there are folks out there that really want to learn and study church history, and in doing so, they find out what they have heard and read what Catholic Christians supposedly teach, and if they feel lied to, many feel betrayed and convert to Catholicism. Yes, of course. But that was not your original argument. You just went from arguing scripture was not around from 393 to 33. Right…again, that was not your original point. Well, no. The OT scriptures, as Jesus informs us, spoke of what He was going to do. The OT scriptures predate Sacred Tradition (as defined by Rome anyhow), correct? So, are you arguing that nobody had any clue as to what scripture was until 382? And why 382?, as the first infallible list of books was not until Trent (according to Rome). And how did the Jews recognize the OT scriptures, and Jesus expect them to know it, without and infallible Sacred Tradition/magisterium/etc..??? Yes, there was a process and disagreements with a few books. But that is not my objection to your point I am commenting on. Well, no. According to Rome, the first infallible inspired list of books was not until Trent. Luther did not remove any books. As was common to many in his day, and beforehand, he regarded some (apocrypha) as good for edification purposes but not on the same level as inspired scripture. Yes, the catholic Church has a role…but again, this is not the point. I responded to your line of thought that there was no functioning scripture until 393, and they only had tradition to rely on. Wait a minute. Many modern and antique Catholic apologists (popular and scholarly)/theologians (eg. Sungenis, Rose, Beckwith, Catholic Encyclopedia, Dimonds, Staples) say that the canon was defined at Florence or Trent, rather than at Carthage/Rome/Hippo. Which one is it precisely? I think Trent is a more common choice than Florence but I might be wrong. Trent only responded after Luther and the Reformers took out the seven deuterocanonical books which were a part of the church for 1500 years. The Council of Hippo and Carthage were later ratified by the Council of II Nicaea 787 and the Council of Florence 1438-1445. All Trent did was put a stamp on those previous councils because of the attacks on the Church by the Reformers. Luther also wanted to take out 2nd and 3rd John, 2 Peter, Esther, Jude, Revelation, Hebrews and James because it didn't fit his new theology. Obviously, something had to be done or our Bibles might only have a few books left. Again, God gave us our books of the Bible and the Bible came about from Sacred Tradition, by the providential hand of God. Not even the Bible itself teaches "Sola Scriptura" and neither did the Early Church Fathers. St. Paul tells us in 2 Thes. 2:15, "that we should stand firm and hold fast to the traditions which you were taught by us, either by word of mouth or letter." In 2nd Timothy 2:1 & 2, St. Paul tells Timothy, "You, my son, be strong in the grace that is in Christ Jesus, and what you have heard from me before many witnesses entrust to faithful men who will be able to teach others also." This not only teaches us about oral tradition, but also teaches us about Apostolic succession, which has been unbroken for 2000 years. Without Sacred Tradition as our hermanuetic, and each man as he is "led by the Spirit", you now have as many as 40,000 Protestant ecclesial Christian communities, with more than 200 starting up per week. Sacred Scripture and Sacred Tradition go hand in hand and both are ordained by God. CVD: Then maybe polemical Calvinists (like Sproul who should know better) should stop trying to tar RCism with it. His explanation is still valid – Pelagianism (etc.) is about what the free-will is able to accomplish prior to baptism. So all the back-and-forth that Sproul is talking about is absolutely valid. This is valid when speaking to converts and potential converts. However, for all practical purposes, especially for “cradle Catholics”, all of what a Roman Catholic knows of “how salvation works” is post-baptismal, and thus it is “what you gotta do” – all of which (mandatorily) relates to the “sacraments”, and only peripherally to what we might call Biblical “good works”. CVD: If having to "do stuff for the rest of your life" equates to "purely a religion of works" or enslaving treadmill, then how is Calvinism not purely a religion of works? JB: Because regeneration and justification are free gifts from God, raising the dead to life (as Sproul explained in the video – it is the monergistic work of God that is all crucial – which (as he explained quite thoroughly in the video) enables us to enter into the process of sanctification, by which we are enabled to live lives that are such as He designed for us. JB: Per my prior answer, because of monergistic regeneration and justification, we are enabled to do these things and more – because his grace enables us to live lives pleasing to him – which is a joy for us, and not a requirement for salvation. CVD: So if the "stuff" you gotta do is "good works", why isn't that pure works righteousness and a works treadmill? We don’t “gotta do” nothing, in order to “merit” our own salvation. On the other hand, the good works are “fruit”, which are exhibited naturally in our lives, through our union with Christ. On the other hand, there are also incidents Acts, such as Acts 16:31 (“Believe in the Lord Jesus, and you will be saved—you and your household”) and Acts 28:17 (“turn, and I would heal them”), where baptism is not necessary for salvation. If you want to get into “tradition”, then you may also consider that Irenaeus may have mentioned infant baptism, and a third century writer like Tertullian opposed infant baptism and even regarded the baptism of children with hesitation, because it was “not a practice of long standing”. Interestingly, none of the Apostles was baptized in the Scriptures, except for Paul. Some may have received John’s baptism, but that was elsewhere said to be insufficient. Your claim about the “Roman view on baptism” as somehow been “handed on from the apostles themselves” is purely a vacuous one based on this analysis. You may find this helpful: Four different kinds of tradition. Lloyd: That is important since we did not have the complete writings of Scripture until 393 AD, Council of Hippo and 397 AD, Council of Carthage, so we had to depend on oral tradition. JB: You are quite historically challenged on this. The letters of Paul were likely collected and regarded as Scripture very likely during his own lifetime. In fact he likely carried collected copies of them himself. The four Gospels were not far behind. Lloyd: Those teachings teach nothing but grace in Baptism. They teach being born again, John 3:5, salvation, Mark 16:16 and 1 Peter 3:18, washing away sins, Acts 22:16 and giving of HS and sins forgiven, Acts 2:38. Regeneration, Titus 3:5. There are other passages, but I don't have the time. JB: It’s good that you want to cite Scriptures, but you should look to what those Scriptures actually say in context, rather than looking to how you can take a dis-jointed text from Scripture and use it somehow to “prove” Roman doctrine. Lloyd: On the conservative Lutheran website, Steadfast Lutherans, Nathan Redman did an essay entitled, "My First Time - An experience of Private Confession and Absolution," dated 1-13-14. Lutherans are now requesting weekly Confessions with their pastors. They are commenting that they love it, and some are even calling it a Sacrament. You have to keep in mind that Luther was the first reformer, and later reformers would say that he didn’t think everything through. With that said, Luther’s view of “confession” depended upon his own view of justification – not the “absolution” as developed by Rome. You can Google that, too. We have a period of private confession (between the individual and God) every Sunday in my (PCA) church. Such a thing is a biblical concept. Just because you say the word “confession” doesn’t mean you are talking about the same thing. Lloyd: When Jesus preached His Sermon on the Mount, Matthew wasn't writing it down. Matthew wrote these things long after Jesus ascended into heaven. administrators...please forgive if I have taken comments off the original content. What do you mean “took out”. Luther’s bible had the apocrypha books, as well as the NT we have today, included. But Luther did not consider the apocrypha on the level of inspired scripture….as many before him. So are you saying, contra all other RC’s that I have heard/read, that Trent was not the first infallible list of books? 1) When do you think the NT Scriptures began to function as Scripture? 393? 2) If you are arguing that we cannot know what the actual scripture are without an infallible magisterium/etc...how did the Jews recognize the OT, and Jesus hold them accountable to know it? 3) Is your position that there were no disagreements and that from 393/382 the deutero/apocrypha were always considered inspired scripture on the same level as the others? I just read your questions. I am on my way out. I will get back to you later in the day. Okay doke....whenever your ready, no hurry. Lord willing, we got time. Fyi...if you want some info about Luther and the canon, James Swan has a great article at the top of this blog. "His explanation is still valid – Pelagianism (etc.) is about what the free-will is able to accomplish prior to baptism. So all the back-and-forth that Sproul is talking about is absolutely valid. This is valid when speaking to converts and potential converts."" No, his explanation is not valid as has been pointed out above. Pelagianism is not about cooperation or irresistibility; the free will cannot accomplish anything naturally/apart from grace. "However, for all practical purposes, especially for “cradle Catholics”, all of what a Roman Catholic knows of “how salvation works” is post-baptismal, and thus it is “what you gotta do” – all of which (mandatorily) relates to the “sacraments”, and only peripherally to what we might call Biblical “good works”." So "you gotta do" Biblical good works your entire life. You just disagree RCism "sacraments" are good works. Regardless, that's still a works enslaving treadmill. "JB: Because regeneration and justification are free gifts from God, raising the dead to life (as Sproul explained in the video – it is the monergistic work of God that is all crucial – which (as he explained quite thoroughly in the video) enables us to enter into the process of sanctification, by which we are enabled to live lives that are such as He designed for us." RCism/Trent does not teach one can merit the grace of initial justification (or restoration after lapse, or final perseverance). Regeneration/justification are free gifts which precede any meritorious actions we may perform. So you still need to explain why all the works "you gotta do the rest of your life" isn't an enslaving treadmill. JB: Per my prior answer, because of monergistic regeneration and justification, we are enabled to do these things and more – because his grace enables us to live lives pleasing to him – which is a joy for us, and not a requirement for salvation." So if you don't do those works, are you saved? Trent:"For, whereas Jesus Christ Himself continually infuses his virtue into the said justified,-as the head into the members, and the vine into the branches,-and this virtue always precedes and accompanies and follows their good works, which without it could not in any wise be pleasing and meritorious before God" RCism does not teach his grace does not enable us to live lives pleasing to him, nor does it teach such works we do in response to that are not a joy for us, but are a burden. They are no more a burden than the works outlined above and by WCF that "you gotta do for the rest of your life". "We don’t “gotta do” nothing, in order to “merit” our own salvation. On the other hand, the good works are “fruit”, which are exhibited naturally in our lives, through our union with Christ. " One cannot merit initial justification/restoration. One can afterwards merit growth in sanctifying grace/deepen union with Christ (who is eternal life). That's why Trent affirms both - if we could merit our own salvation, we could merit initial justification/restoration, and babies and deathbeds could not be saved. was the first Greek translation of the Hebrew OT. In fact the Septuagint was used by Jesus, the Apostles, and the Early Church Fathers over 90% of the time when quoting the OT in the NT. The Septuagint contained the 7 deuterocanonical books that were included in the Councils of Hippo AD 393, Carthage AD 397, II Nicaea 787, Florence 1438-1445 and Trent. No early councils endorse the 66 books that the Protestants now use. Luther denied the inspiration of those books for theological not historical reasons. What is to stop someone today from removing any number of NT books out of Bible while claiming that he has come up with the real Bible to fit his new found beliefs? After all, the father of the Reformation did the same thing with the Canon that was used for 1600 years, the Canon that was endorsed by numerous Church Councils. By the way, much of the OT was known orally for centuries before it was written down. You asked about how long the Church took before Scripture began to function as Scripture? I would guess the Church depended much on Oral Tradition into the third century as instructed by Apostolic Succession (2 Tim. 2:2). This Apostolic Succession was handed on to the Early Church Fathers. Then because of disputes over which books were inspired, they had to wait for the above referenced councils to settle the issue, by the grace of God. If you get a few minutes, click on Jimmyakin.com, go to Library and click on Two Canons Scripture and Tradition. He is fantastic, and is very fair and accurate in presenting the other side. I could present a whole lot more, including the Hebrew text that Luther chose, but I don't have the time. Keep Living for Christ, John 6:68 & 69! was the first Greek translation of the Hebrew OT." But that is not the issue. The issue is not if the Church has used all these books, but in what capacity have they used them. Throughout Church history the apocrypha was in dispute as to whether they were on the same level as inspired scripture…but everyone would agree they were always used for edification purposes. "In fact the Septuagint was used by Jesus, the Apostles, and the Early Church Fathers over 90% of the time when quoting the OT in the NT." "No early councils endorse the 66 books that the Protestants now use." It depends on what one means by “endorse”. And, even if the early councils did in fact claim them as inspired scripture…we have the earlier tradition of the Jews (those to whom God actually gave the OT scriptures) and consequently Jesus, having basically the same 66 books that Protestants now use. "Luther denied the inspiration of those books for theological not historical reasons." This is just wrong Lloyd. I know that many RC apologist try to teach this, but if one is going to be remotely honest with history…and even restrain from breaking the 8th commandment of bearing false witness, they would say otherwise. Again, James Swan has an excellent article on Luther and the Canon. Even if you do not agree, I think you should read. "By the way, much of the OT was known orally for centuries before it was written down." Yea, I am not sure how long it was…but sure. But according to your view, they could not have known what scripture was unless they had an infallible magesterium, which you hold they did not until the NT Church. So this seems to counter your argument that one needs an infallible body to let us know what scripture is. "You asked about how long the Church took before Scripture began to function as Scripture? I would guess the Church depended much on Oral Tradition into the third century as instructed by Apostolic Succession (2 Tim. 2:2)." Well, okay. Thanks for answering that question. Seems like you came down at least about 100 years form your initial view of 393. So good job, your at least heading in the right direction. But why would the church not use and rely on the scripturized Word of God for around 200 years after they were written? So you are saying the gospel of Mark was written, and then dispersed among the churchs, but not used for a few hundred years? Certainly, you must see something wrong with that, no? "This Apostolic Succession was handed on to the Early Church Fathers. Then because of disputes over which books were inspired, they had to wait for the above referenced councils to settle the issue, by the grace of God." Sure, there was apostolic succession….the apostolic teaching was passed from generation to generation. And yes, there were questions on some of the books…but history does clearly show that most were accepted and embraced very early and used-functioned-applied as the written Word of God. If you get a few minutes, click on Jimmyakin.com, go to Library and click on Two Canons Scripture and Tradition. He is fantastic, and is very fair and accurate in presenting the other side." I have already watched his video’s…and just find the RC stance, as shown in your comments, to be historically untenable. "I could present a whole lot more, including the Hebrew text that Luther chose, but I don't have the time." Well, I really was not looking for all that anyhow…just wanted to clarify what your position was really as to when the scripture became functional as scripture. It is good to see you came down 100 years or so…but I think if you look at more of the evidence....you will come down much further. 1) I think the evidence shows that the NT scriptures were used, relied upon, and functioned as scripture pretty quickly, where you have them not doing much if anything until a few hundred years following. 2) I think the fact that the Jews were expected to know what the scriptures were without an infallible body contradicts your view that one needs an infallible body to know what scripture is. 3) I think that there were disputes of status of the apoc/deutero in terms of if they were inspired scripture at the same level as the others (not for edification purposes), throughout church history. 4) You neve responded as to how Luther removed books, but I do not believe he did. Just look at his bible. He held to what many did before him. 5) Not sure where you stand, since you did not answer the question...but from every other RC, the first infallible list of books was at Trent. So to be consistent with your view, no one could know what scripture was until then. Thanks for the conversation Lloyd. The Septuagint (Greek translation Hebrew OT) was very popular because Greek was the common language of the entire Mediterranean world by the time of Jesus. Again, the Septuagint was the preferred translation used by Jesus, the Apostles and the Early Church Fathers. It was quoted a whopping 90% of the time whenever they quoted the OT. The Septuagint was used by the Christian Church from the very beginning. When the church officially determined which books comprise the Canon for the OT (again see my above referenced Councils), it approved the 46 books of the Septuagint. And it was so for 1600 years until Luther came along. Didache AD 50, Pope St.Clement I AD 70, Letter of Barnabas AD 75, St. Polycarp of Smyrna AD 135, St.Irenauus of Lyons AD 189, St. Hippolytus of Rome AD 204, St. Cyprian of Carthage AD 248, Council of Rome AD 382, Council of Hippo AD 393, Council of Carthage AD 397, St. Augustine of Hippo AD 397, Apostolic Constitutions AD 400, St. Jerome, AD 400, Pope St Innocent I AD 405, Council of Carthage of 419. Even Jerome early in his career, when he favored the Hebrew canon, eventually changed his mind and accepted the deuterocanical books as Scripture. Why as a Roman Catholic would you argue that we must accept all of the books from the LXX when even the Roman Catholic Church doesn't accept them all? The Eastern Orthodox make sense because they do accept all the books, andbthe Protestants make sense because they don't accept any of the Apocrypha. The only church that seems to have picked and choosed what books are included in its Bible for a theological base on its own positions is the Roman Catholic Church. St. Jerome did later absolutely accept the 7 deuterocanonical books later after severe pressure from St. Augustine and other Church Fathers. Don't the Councils have any authority with you on how the Canon of Scripture was determined? This is all church history. If you study church history (and most of the Reformed and other Protestants know little about, and you can see this by the some 40,000 ecclesial Christian groups out there that are all "sola scriptura"), you will find that the Early Church Fathers were Catholic. Calvin on the Sacraments among many other things. And so it goes with each group led by a leader as he is led by the Spirit to oppose all of the others. If they are all "sola scriptura" shouldn't they at least be in agreement on what the Bible teaches? If you really want to learn church history, my advice is not to use the sources that the Reformed cite. They take out all that is Catholic, leaving folks with very little of what the Early Church Fathers were taught from the Apostles, (2 Thes. 2:15 and 2 Tim. 2:2). Without Sacred Tradition, Christian theology is everywhere and all over the place. And God is not the author of all of this confusion. It is a quick read. He quickly takes takes you through the OT into the new. Apparently, Lloyd, you didn't read the article I linked to. If the phrase "the judgment of the churches" is to what I think it is (which is discussed in the article by Ray Aviles that I linked to) , it is not about the Deuterocanonicals in general; rather it was their (the churches) decision to follow a different version of Daniel (the Theodosian version) than the LXX, which had the Apocryphal portions embedded it is; so actually, it it the opposite of what you say, since Jerome followed that and excluded those portions from the canon. Also, check the link you gave - it does not work. I think you have an extra letter in there somewhere. One of the most common errors of Roman Catholics apologetics is repeating that Envoy article, but the reference to Rufinius is wrong, It looks like 11:33 (eleven: thirty three - but that is a wrong reference, never to be found) and it gets repeated a lot. Jerome's reference "Against Rufinius 11:33" is wrong, and get repeated a lot I have observed. I had to point this out over at Called to Communion years ago on the article about the canon. They corrected it there, but it is repeated a lot in other places. "Again, the Septuagint was the preferred translation used by Jesus, the Apostles and the Early Church Fathers. It was quoted a whopping 90% of the time whenever they quoted the OT. The Septuagint was used by the Christian Church from the very beginning. When the church officially determined which books comprise the Canon for the OT (again see my above referenced Councils), it approved the 46 books of the Septuagint." "Don't the Councils have any authority with you on how the Canon of Scripture was determined? This is all church history. 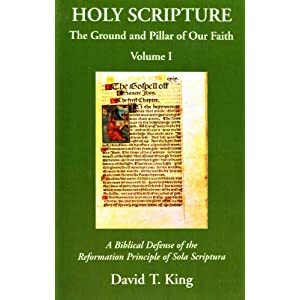 If you study church history (and most of the Reformed and other Protestants know little about, and you can see this by the some 40,000 ecclesial Christian groups out there that are all "sola scriptura"), you will find that the Early Church Fathers were Catholic." So basically you're telling me that you don't live by the same standard that you put Protestants to or that you never intended for the LXX to be a proof of canon but simply lead to particular church councils that you believe have authority over everyone. Is there no wonder why people don't accept Roman Catholicism? That is a deceptive route that you took because the LXX doesn't support the Roman Catholic Church's position and you knew it (I see no reason for you to be ignorant of the contents of the LXX). Calvin on the Sacraments among many other things. And so it goes with each group led by a leader as he is led by the Spirit to oppose all of the others. If they are all "sola scriptura" shouldn't they at least be in agreement on what the Bible teaches?" This is the same misinformation campaign that turns me off of Roman Catholicism. This is not at all a genuine view of what the Reformation did for the church. Let alone the number of church fathers who accepted the principles of Sola Scriptura including Aquinas. "If you really want to learn church history, my advice is not to use the sources that the Reformed cite. They take out all that is Catholic, leaving folks with very little of what the Early Church Fathers were taught from the Apostles, (2 Thes. 2:15 and 2 Tim. 2:2)." I look at as many sources from as many different angles as possible. The problem comes from a side that reads into history in order to support its current and modern opinion (Roman Catholicism). Let history tell its own story regardless of the results. "Without Sacred Tradition, Christian theology is everywhere and all over the place. And God is not the author of all of this confusion." Anyway, Jerome was persuaded to include the deuterocanonical parts in his vulgate. In his reply to Rufinus he defended the deuterocanonical portions of Daniel against the Jews. He wrote, "What sin have I committed if I followed the judgment of the Churches? But he who brings charges against me for relating the objections that the Hebrews are wont to raise against the story of Susana, the son of the 3 children and the story of Bel the Dragon, which are not found in the Hebrew volume proves that he is just a foolish sycophant. For I was not relating my personal views, but rather the remarks that they (the Jews) are wont to make against us." Against Rufinus 11:33, AD 402. Here St. Jerome goes with the Church that settles the issue, not with the later Jews. At the end of the day, God, through Apostolic Authority determined the 73 books of the Bible (through my above referenced many Council citations) long before Trent was forced to defend them from the attacks from Zwingli, Luther etc. To simply attemp to overturn the God ordained councils which came to us through Apostolic Authority with a whole bunch of incoherent new teachings is now being seen by all. When our coworkers and neighbors ask us why they should become Christians when all of the churches down the street (ecclesial Christian communities) claim to be and don't agree on anything, at least the Catholic Christians can point to church history and the Early Church Fathers and say that this is what God intended. We can point to Sacred Tradition, the Sacred Scriptures and the magisterium as God's revealed plan to redeem man from his sins (Matthew 16:18, John 3:16, 2 Thes. 2:15 and 2 Tim. 2:2), in His Son Jesus Christ. "At the end of the day, God, through Apostolic Authority determined the 73 books of the Bible (through my above referenced many Council citations) long before Trent was forced to defend them from the attacks from Zwingli, Luther etc." The councils before Trent that listed those books were regional councils. They were not infallible, thus it was not binding. They were only binding after Trent affirmed them. This is why many people in the middle ages and in the reformation, on both sides of the Tiber didnt believe they were on the same level as the rest of the books of scripture. You are still not reading carefully enough. Read the Ray Aviles article. Also check your link. It has nothing to do that I can see with Jerome against Rufinus, at least not the quote that you gave. Also, can you find "Against Rufinius 11:33" ?? It does not exist. check again, my friend. It appears that Lloyd is uninterested in reading what anyone else says. I find it funny that you had just mentioned the "Against Rufinius 11:33" error and there Lloyd goes quoting it, lol. In all honesty, Lloyd is showing the arrogance of Roman Catholicism and is doing so in a spam sort of way. He's not dealing with any of our points and just keeps shooting off Roman Catholic propaganda. Lloyd, maybe you should actually interact with us instead of looking like a spambot. It doesn't help your cause when you are the one that keeps spreading errors, not to mention the fact that you totally didn't answer my question about the hypocricy of Roman Catholics citing the LXX as the reason that the Roman Catholic Church includes the apocrypha in their Bibles. My actual quote though I got from taylormarshall.com on his short essay entitled, "St. Jerome on the Deuterocanonical Books" dated 8-11-08. Why don't you post your name? You are a computer tough guy, a drive by that shoots and hides behind his computer. No longer will I respond to a zipper. "The Septuagint (Greek translation Hebrew OT) was very popular because Greek was the common language of the entire Mediterranean world by the time of Jesus. Again, the Septuagint was the preferred translation used by Jesus, the Apostles and the Early Church Fathers. It was quoted a whopping 90% of the time whenever they quoted the OT." Lloyd, have you read my posts?? Again, I never disagreed that the Sept was used by Jesus/apostles. But what does that prove? If it proves that they considered the apocrypha inspired scripture (which it does not as I showed prior), then why do you keep saying Luther removed books when his bible did contain the apocrypha which he quoted from his bible of course. "Here is a listing of some of the Church Fathers that quoted the 7 deuterocanonical along with protocanonical books. They quoted them as Scripture or as inspired right along with the other books:"
The issue is not if some considered them to be scripture. Some obviously did....and some obviously did not. In order for our conversation to be worth both of our times, you really should read and respond to my comments. 1) The evidence shows that the NT scriptures were used, relied upon, and functioned as scripture pretty quickly, where you have them not doing much if anything until a few hundred years following. Why would scriptures not function until 200 years after written? 2) The fact that the Jews were expected to know what the scriptures were without an infallible body contradicts your view that one needs an infallible body to know what scripture is. How does this not contradict your view? 3) There were disputes of status of the apoc/deutero in terms of if they were inspired scripture at the same level as the others (not for edification purposes), throughout church history. See quote from Cardinal Cajetan. 4) You neve responded as to how Luther removed books, but I do not believe he did. Just look at his bible. He held to what many did before him. Luther had questions on some books not only for theological, but for historical reasons as well, since some fathers questioned these same books. So again, how exactly did he remove books? So, again, in your opinion, was Trent the first infallible list? If not, why do you disagree with all other RC's? "Why don't you post your name? You are a computer tough guy, a drive by that shoots and hides behind his computer." I don't know what my name has to do with anything. There are a number of people on here that don't use their real name as their user name. But you asked so I will answer. The name "zipper" is a name that I have gone with on the internet for over ten years. My friends know me by that name and even though it doesn't have a meaning behind it, I like the name. There's no hiding here. "No longer will I respond to a zipper." That's been the problem this whole time. You're not reading anything that any of us have been writing. Just look at how you messed up with the whole "Against Rufinius 11:33". Let us know when you're going to interact. I dont think that infallible canons are needed for something to be binding. For example, there is no infallible canon of Ecumenical councils, yet Catholics are bound to accept all 21 infallible ecumenical councils. Some say that the canon of ecumenical councils is infallible. If that is the case, then the infallible canon didnt bind, because many Catholics do not hold Vatican II to be infallible and openly remove it from the canon of infallible councils, such as Sungenis, Canon Lawyer Gregory Hesse, Palm, Voris etc. One of my favorite things in life is to read books. You are probably the same. I have never been the type of Christian to ask any of my pastors questions because I always wanted to do my own research. I love to learn. I consider myself more of a student than anything else. My postings above on how we got our Bibles are supported by the likes of Father Mitch Pacwa, Dr. Scott Hahn, Tim Staples, Jimmy Akin, Steve Ray, Patrick Madrid, Mark Shea, the list could go on and on. So the folks that you might be talking to are low information Catholics. And don't we know that there are plenty of low information types in all camps? Anyway, Luther took out the seven deut. books and put them in the back of his Bible. He wanted to do the same with James (He was widely quoted as calling it a book of straw). He wanted to do the same with Hebrews, Jude and Revelation, to call them not inspired, and stick them in the back of his Bible as well. If he didn't agree with the theology, he wanted to get rid of it. I started out my comments on how I like to study and research. There are some great sources out there that will give you a list of great books to read. You can even google your questions on Luther and get the answers that you are looking for. It is great that you like to learn...but I do think asking questions tremendously helps us to do so. And often, to learn, we have to read things we disagree with as well. I really do encourage you to read James Swan's article on Luther and the Canon on this site. It will correct some of your false claims on that issue. In terms of me speaking to just low informational Catholics...no. First, I speak with a close RC friend that is very knowledgeable and teaches the class for new converts at his church. Second, there are quotes I could provide by reputable RC's that say Trent was the first infallible list of books. Third, the Catholic Encyclopedia says as much: "The Tridentine decrees from which the above list is extracted was the first infallible and effectually promulgated pronouncement on the Canon, addressed to the Church Universal." " Anyway, Luther took out the seven deut. books and put them in the back of his Bible. He wanted to do the same with James (He was widely quoted as calling it a book of straw). He wanted to do the same with Hebrews, Jude and Revelation, to call them not inspired, and stick them in the back of his Bible as well. If he didn't agree with the theology, he wanted to get rid of it. Okay, so Luther did not take the apoc out...he reordered them and still included them in his bible. But as many did before him, did not consider them inspired scripture. Again, some of the NT books he had concerns with also were for historical reasons, as some fathers questioned them as well. If you are willing to learn, read James' article, it will give you a much more balance approach than the Luther-bashing authors you have listed above. "I started out my comments on how I like to study and research. There are some great sources out there that will give you a list of great books to read. You can even google your questions on Luther and get the answers that you are looking for." Most of the questions to clarify your position directed to you were left unanswered. If you do not know, that is certainly fine. But if you are going to make a claim like that in the future, I would suggest at least be willing to dialogue with your claims - as opposed to telling me there are books and google to answer my questions. liking. Luther took out the 7 deut. books as stuck them in the back of his Bible. He also wanted to do the same with James, Revelation, Jude and Hebrews. What if someone else did what Luther did - take out more books while claiming to do so because he is "led by the Spirit?" All the Protestants are doing here is attempting to play up the ruling at Trent (which did nothing more than ratify the books that were determined in previous Church councils, because of the attacks from Zwingli and Luther) and using this as an attempt to put themselves on equal footing in trying justify their 66 books. In so doing, they are in defiance of 1600 years of Christian church history. One big problem with Protestantism, is that they don't know, respect or understand church history. 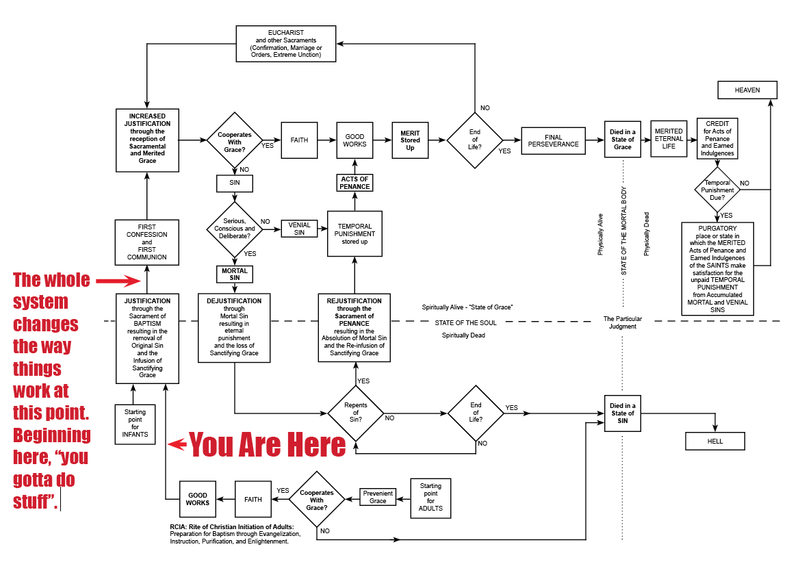 So you now have some 40,000 ecclesial groups trying to rewrite church history. Lloyd -- I've been reading your responses. You REALLY haven't got a clue as to what the real history is of these matters. You are simply parroting old and discredited polemics -- most of which are just outright false. Do you like perpetuating falsehoods and lies? Seems as if you do. It is none other than Sproul that described the Bible as a "fallible collection of infallible books" in his book, "Now That's a Good Question." Doesn't Mr Sproul leave open the possibility that some of the inspired writings are missing because the selection of books may be "fallible"? So using Sprouls arguments against him, God was unable to protect this process of determining which books are written Scripture. So, using Sproul's logic, this human-looking (fallible) process, which was not God guided somehow got the books of the Bible correct? It is not "perpetuating falsehoods and lies", it is more about recorded church history versus the new found logic of Protestantism. Thanks for the Heads Up regarding Lloyd. I have managed to steer clear of his intense obtuseness. Some Catholic said on Greenbaggins that Papal elections are not infallible. This means that the papal lists are fallible, as shown by the fact that they have been revised in the past. You both are unable to present good arguments based on church history and logic, so you have to resort to Ad hominem attacks. I will refrain from such gutter crawling actions, which is best left to politicians and not followers of Christ. Well, I do apologize if I have missed your answers. I know that you have clarified the one question as to how Luther "removed" the apoc. Your response is that he did not remove them, but reordered them. -The evidence shows that the NT scriptures were used, relied upon, and functioned as scripture pretty quickly, where you have them not doing much if anything until a few hundred years following. -The fact that the Jews were expected to know what the scriptures were without an infallible body contradicts your view that one needs an infallible body to know what scripture is.
" All the Protestants are doing here is attempting to play up the ruling at Trent (which did nothing more than ratify the books that were determined in previous Church councils, because of the attacks from Zwingli and Luther) and using this as an attempt to put themselves on equal footing in trying justify their 66 books." How are protestants "playing up" Trent? If Tent was the first infallible list, I really do not see how this does not contradict the RC view that one needs and infallible body to determine what scripture is. For argument sake, if you would agree with the Catholic Encyclopedia that Trent was the first infallible list....would you agree that this does create a problem for your view that one needs an infallible body to know what scripture is? "What if someone else did what Luther did - take out more books while claiming to do so because he is "led by the Spirit?" Luther did not take out books, he reordered them. Frankly, I do not care what order they are in.
" One big problem with Protestantism, is that they don't know, respect or understand church history." In many respects, I can agree with this. There are varying levels within Protestantism of how much the role of history/tradition plays. As a Lutheran, history does play much more of a role for my tradition then does say a Pentecostal. At the same time, the same could be said of RC's. Many abuse history. I do think you are doing so to some degree in this conversation as well. For ex, in your view scripture did not function as such until a couple hundred years after the books were written...that Luther questioned some of the books based only on theological reasons, the Trent issue, etc...all reflect a disrespect for the truth of historical matters. "All the Protestants are doing here is attempting to play up the ruling at Trent (which did nothing more than ratify the books that were determined in previous Church councils, because of the attacks from Zwingli and Luther) and using this as an attempt to put themselves on equal footing in trying justify their 66 books." That's a false claim. Trent was the first council to define the canon with an anathema and specifically to assert that the deuterocanonicals are inspired. Indeed, Roman Catholic cardinals immediately before Trent agreed with the Protestant position. Thus, Cardinal Ximines put the deuterocanonicals in an "apocrypha" section and Cardinal Cajetan mocked as novices those who disagree with the Protestant canon. "In so doing, they are in defiance of 1600 years of Christian church history." You can't defy history. You can deny it or misrepresent it (as you repeatedly do in this comment thread) but you can't defy history - history is not an authority. It is problematic that many Protestants don't know their history, but it is their history - not yours. History is no friend of modern Papalism nor even of Trent. And in addition to that "Historical Fact". "In his debate with Gary Michuta on the canon and the Apocrypha James White brought up an important issue that reveals a discrepancy between the decrees of the North African Councils of Hippo/Carthage (AD 393/397) and the Council of Trent (AD 1546). This issue is important because Roman Catholic apologists have long asserted that the canon of Scripture was authoritatively and definitively defined for the Church by Hippo/Carthage in the 4th century AD. And yet the historical facts reveal that Trent rejected abook received by Hippo/Carthage thus manifesting a contradiction between the North African councils and Trent." "I will refrain from such gutter crawling actions, which is best left to politicians and not followers of Christ"
A form of ad hominem? 1 (of an argument or reaction) arising from or appealing to the emotions and not reason or logic. • attacking an opponent's motives or character rather than the policy or position they maintain: vicious ad hominem attacks. 2 relating to or associated with a particular person: [ as adv. ] : the office was created ad hominem for Fenton | [ as adj. ] : an ad hominem response. 1 annoyingly insensitive or slow to understand: he wondered if the doctor was being deliberately obtuse. • difficult to understand: some of the lyrics are a bit obtuse. 2 (of an angle) more than 90° and less than 180°. • not sharp-pointed or sharp-edged; blunt. ORIGIN late Middle English (in the sense ‘blunt’): from Latin obtusus, past participle of obtundere ‘beat against’ (see obtund) . Another computer tough guy who drive by shoots and hides behind his computer. Even Dr. Scott Clark scolded you for not posting your name. I will not respond to some fan. Another computer tough guy who is a drive shooter, too chicken to post his name. Even Dr. Scott Clark once scolded you for not putting your name behind your comments. Your ad hominem response is noted. You must be deeply frustrated by the fact that folks here know that your historical claims are falsehoods. I pity you. We have a politician here in Arizona that is in a whole bunch of hot water. His name is John Huppenthal. His comments are under fake internet names as "Falcon9" and "Thucydides". In fact in the Editorial page in yesterday's Arizona Republic he got blasted for using such poor judgment, and they said that politicians should be held to a higher standard. A higher standard than Christians? Some of these internet drive by shooters even set up internet website blogs using their fake internet names. Some of the reasons these folks give are that they are in leadership positions in companies and, or, churches, and that they don't want to be found out. The question has to be asked, why are these folks in leadership positions when they sneak around under various pseudonym's? The Arizona Republic Editorial piece pointed out that in time folks eventually find out who these folks are. They eventually come out of door number 3. These drive by internet fakes should at least put their names behind their comments, or shut up. It is sad to see the obsession with personal attacks, Mr. Cadle. Hopefully, your conscience will stir you up to realize that this is wrong. By the way, if you want to avoid hypocrisy, perhaps you should put your home address up on your blogger profile. Even assuming that "Lloyd Cadle" is your real name (and considering you just created your blogger profile this month, that seems doubtful), just providing your name still lets you hide behind your keyboard. But better yet, why not deal with the fact that you've put falsehood after falsehood up here in the comment box? Why not repent of that first? I tolerate Clark's unjustified snippiness - I would tolerate yours too. But what I don't tolerate is people lying about my church's history. Then he just about copies and pastes Turretinfan's name into that same statement (but also calls him a "chicken" like a bully or "tough guy" would do). That's why I called you a spambot Lloyd. Instead of dealing with the questions that we give you, you try to distract and talk past us. If you want a real conversation then go for it. Otherwise you are providing Protestants with fodder when they talk to people about how Roman Catholics can't deal with the hard questions. I'm cool with people who don't have all the answers, because I don't either. But you show your weakness by trying to dodge and distract us. To this day you haven't said anything about your "Against Rufinius 11:33" mistake. Could you also address where you got the 40,000 denominations statistic and how you know that all 40,000 denominations claim sola scriptura? Maybe if you didn't make these false statements we would have better discussions with you, but this just demonstrates that you are morally okay with lieing. I have posted my name on the internet as Lloyd I. Cadle since the internet started. I. stands for Ingo (a German name that I don't like-who would? Lol). My background and my studies and the Protestant traditions that I came out of are listed above. I graduated from a dispensational Bible College. I can teach dispensational theology. I can teach the Reformed Comfessions, which I did for 3 and a half years to Jr. High kids. I have served as an elder in a WELS church and a Sunday school teacher there. I was a catechism teacher and on the Board of Directors in a LCMS church in the Phoenix area. theology, using Scripture from memory in each system. Why am I saying this? Because I know, and spent years in studying, serving Christ, and teaching each system. I don't need to lie or misrepresent, because I know the truth. I lived in the L.A. area for 47 years. We now live in Buckeye AZ, and we are members of St. Henry in Buckeye, in the Phoenix area. We have five children, 4 adopted. L.A. , where I used to live, is going to get Catholic radio in the fall. A lot of the false misrepresentations on Catholicism comes out of Southern California. Programs heard on EWTN radio there will be heard by the folks sitting in traffic. Many will soon find out while listening to the fine folks on Catholic Answers, how they have heard false stuff on Catholic theology. That is what happened to me. My legal name is Ingo Lloyd Cadle. Since Lloyd is my legal middle name, and I don't like Ingo, I go by Lloyd Cadle, or Lloyd I. Cadle. Look me up, I have nothing to hide, and I don't do fake internet names. I don't set up internet websites using false names. My tip of the hat goes to Mr, James Swan, for at least putting his name behind what he believes. He is not a fake. Go Germany in the World Cup! Bear with any typos. My baby is trying to get Disney on my IPAD while I am typing! I applaud you Lloyd for adopting. My heart goes out to all the children out there who have no parents. I also have children so I know how diffi cult it can be to type and could care less if there are typos. We've all made them. But when you make claims that aren't true, and after someone corrects you on them, then the honest thing to do is admit that you are wrong and move on. You haven't done this. Instead you have lead us to a conversation that is all about you. In this situation, I'm uninterested in your background. The only thing that I am focusing on are the topics being discussed. Some of us don't use our real names, so what? This is the internet. Until you are able to be honest about the mistakes (at worse, lies) that you have made, you're only making yourself and Roman Catholicism look bad. I have not had much 'spare' time to spend on the internet over the last couple of months; as such, I was not aware of the existence of this thread until today. With that said, I am somewhat amazed that you chose to publish it, given our past exchanges concerning the issue of semi-pelagianism. IMO, the threads contained in THIS LINK, have exposed some grave errors in your reasoning on this matter. Semi-Pelaganianism teaches that an individual apart from grace can accept the offer of salvation, and that once accepted one then cooperates with the grace that God gives. In other words, semi-Pelagianism denies the necessity of grace for one to believe/accept the gospel. While Pelagianism denies that ANY grace in necessary for salvation (both before and after the acceptance of the Gospel), semi-Pelgainism only denies that grace is necessary for one to accept the gospel. Thanks for your challenging comments. Thank James Swan for letting your comment through, as I have been overseas teaching since June 12 (and still am); which is also why I have not had time to respond; nor have written any new articles recently. After I get back to the USA, I hope to interact more with this issue, Lord willing. Here is my response, which most of which, I already communicated to you in the threads before when we discussed this issue. I wrote about this before in our discussion of these issues; my point is that I am asserting that Bavinck was right in saying that Semi-Pelagianism came back into Roman Catholicism "in a roundabout way" - that even though Orange condemned "semi-Pelagianisn" in 529 AD, it came back into popular and practical Roman Catholicism through the sacramentalism development between Orange and Trent. If you read my article, "Between Orange and Trent", I was focusing on the belief that water baptism in itself gives grace; [I realize Orange itself did not see a contraction in this; but it is .] that it is the sacramentalism of baptism regeneration that shows that at Orange in 529 AD, it said that grace is given to one who is baptized, and most RCs are baptized as infants, and Trent re-affirmed that as "initial justification" and condemned justification by faith alone and also has all the other centuries of other traditions and sacraments added on that were developed between Orange and Trent, especially all the sacraments relating to Purgatory, the treasury of merit, indulgences, etc. So, since we don't think there is any power to water baptism to give grace in reality, (as 1 Peter 3:21 clearly teaches) it is semi-Pelagian in the sense that it is a human work of the priests and parents who are going something to the child (a human work) and thinking that they are getting grace for the child. The child has no knowledge of sin or repentance, and so when they are older, they are assumed to have already been justified by the grace of baptism and they can then do good works because they have the ability to cooperate then and "merit for themselves and for others” salvation - which the Catechism does say. Roman Catholic Catechism - 2027 "No one can merit the initial grace which is at the origin of conversion. " "Moved by the Holy Spirit, we can merit for ourselves and for others all the graces needed to attain eternal life, as well as necessary temporal goods." # 2010 - "Since the initiative belongs to God in the order of grace, no one can merit the initial grace of forgiveness and justification, at the beginning of conversion. " "Moved by the Holy Spirit and by charity, we can then merit for ourselves and for others the graces needed for our sanctification, for the increase of grace and charity, and for the attainment of eternal life. Even temporal goods like health and friendship can be merited in accordance with God's wisdom. These graces and goods are the object of Christian prayer. Prayer attends to the grace we need for meritorious actions." These statements seem pretty semi-Pelagian. The development of sacramentalism over the centuries between Augstine/Orange (529 AD) to Trent (1545-1563)- all the other sacramentalism that developed after Orange - that grace is dispensed by the priest and the church by confession, penance, priestly absolution, treasury of merit, praying to Mary and the saints, relics, pilgrimages, partaking of the Eucharist, indulgences, etc. - faith is assumed and ability to have faith and ability to choose and cooperate is assumed because the cradle Catholics "get grace" at infant baptism – slavery to sin and the sense of inability and the need for grace is pushed back psychologically to a forgotten infancy. "By this time, infant baptism was universal, so the teaching on grace was pushed back to forgotten infancy." (Tony Lane, Exploring Christian Thought, p. 81), where there is no memory. It becomes practically a works oriented salvation because of this. This is probably what Berkouwer, quoting Bavinck, meant by “semi-Pelagianism came back in a round about way”. Since we Protestants don't believe that baptism in water has any power to give grace in reality, from our perspective, it is really semi-Pelagianism as there really is no reality of grace from praying to Mary or the Eucharist or other works and deeds in Roman Catholic sacramentalism.